After a long time, the LG company has launched a phone market. This is LG's flagship smartphone. This phone is very attractive due to its special design, LG's G5 model is a modular smartphone. In it, all the parts are found in a tray, with the help of which you can get different designs in the same phone by putting different modules. Made of aluminum body with 3D glass, this smartphone is a dual sim phone with 3G and 4G support. This model is quite slim and with a 5.3-inch display screen, which is made of Gorilla Glass. This LG model is equipped with a variety of features with the LG G5 Look. Learn more about this modular smartphone LG G5 available in Gold, Silver and Titan Color with 3 variants. 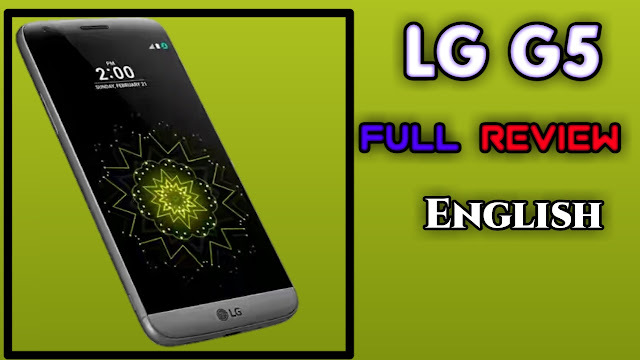 The LG G5 has a 16-megapixel primary camera, whose resolution is 1440 × 2560 pixels. There is an 8 megapixel front camera for Selfie. The quality of the camera is very good, with a wide lens, the camera performs well in low light. The front camera is not as special as the quality of the primary camera and you may have trouble taking good pictures in the artificial light. In the 16GB camera, you get many types of modes to take good pictures that you can choose at the time of focus. In the LG G5 model you get 4 GB RAM. It has 32 GB internal storage which can be expanded up to 200 GB. The LG G5 is getting a 2800mAh battery, with 240 hours of standby time. Qualcomm's quick charge technology support is also available to charge the battery immediately. Yet this battery has been found to be less than expected. It runs on Android 6.0 version. Nano SIM is required on both slots of SIM. To keep your data safe, there is a finger print sensor which is a special feature of it. LG G5's camera quality is quite good, with laser auto focus. In this you can take both wide and close shots better. Its display screen also looks well in the sun. According to the performance, this phone is very good. You can do more than one task at the same time. However, the battery back up of this phone is not as special but it has a physical button in it, if you are using the camera and your phone's battery is about to die, then the battery can be increased to 4000mAh after connecting to it. .
LG G5 is much ahead of the storage case. In it, you can extend up to 200 GB of memory, in which many apps and games run smoothly. This smartphone has to face a lot of trouble at the time of internet browsing. According to a smartphone, its speed in the Internet is very low. While creating a modular smartphone LG G5, there are many flaws in its display. A little more emphasis has to be given to press the side button. Battery life is also much less compared to other phones in this range. Some users have complained of hanging it too. LG has ignored many shortcomings in making a modular smartphone. This modular phone can prove to be a costly deal for those who have previously been seeking more battery. But its storage capacity is good, in which you can use many apps and other fun things. You can charge it again by connecting the given LG Cam Plus to the battery, but to buy this Cam Plus you will have to spend Rs. 6500 on your side. Modular smartphones can be very advanced in appearance, but in terms of usage it is lagging behind the other phones in this range. By all except internet browsing you get good speed in all. If you want so many features with some shortcomings, then buy this modular smartphone. In the Indian market, the initial price of LG G5 has been kept at Rs 52,990. Great post, Thank you for presenting a wide variety of information that is very interesting to see in this article!